Like I said, I love lemony and lime-y treats of all kinds. Therefore, I just had to try out these Lime Meltaways. 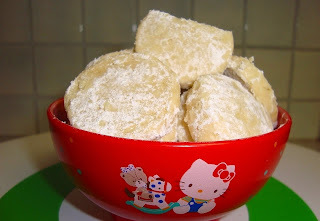 They're different from your typical shortbread cookie because they're more crumbly and tender rather than crispy. But, that's part of their charm. Somehow it's just so satisfying to have a little buttery, sugary morsel melt on your tongue. Plus, since they disappear so quickly in your mouth, you naturally have an excuse to eat more than one so you can really savor their flavor (right?). The recipe is extremely easy to follow. I recommend rubbing the lime zest into the powdered sugar before creaming it with the butter. I think it helps to intensify the flavor of the lime in the cookies. The sugar will clump a little due to the moisture from the zest, but once you add in the butter, everything will even out again. So, no worries. Once you're done making the dough, the rest of the recipe is as easy as 1, 2, 3. Just chill, slice, and bake. Then, put some powdered sugar in a ziploc bag, do a little shake, shake, shake, and you will have cookies worthy of any occasion. Speaking of the powdered sugar, I may decide to add some lime zest to that powdered sugar as well. After all, in my opinion, you can never have too much of a lime kick in the cookies. So, who needs those store bought lemon cookies after this? Not I. Cream butter and 1/3 c. sugar until fluffy. Add zest, juice, and vanilla. Beat till fluffy. Add flour and cornstarch. Roll dough into two 1 1/4" diameter logs. Chill 1 hour. Slice logs into 1/8" thick rounds. Place on baking sheets and bake about 15 min. until barely golden. Let cool slightly, 8-10 min. Place remaining 2/3 c. sugar in a resealable plastic bag. 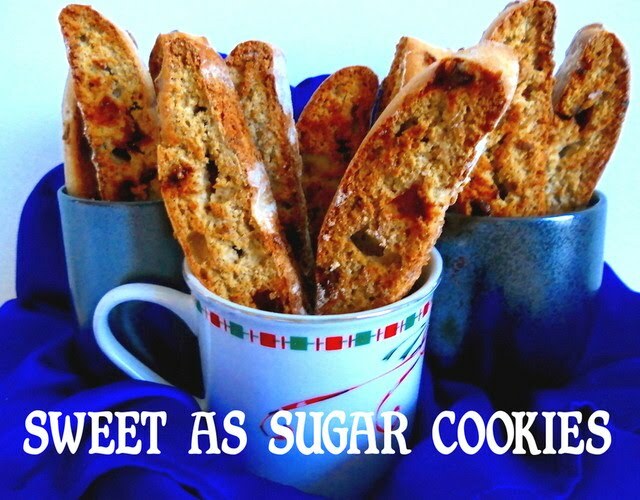 While still warm, place cookies in the sugar-filled bag and toss to coat. I found the recipe for these bars on Baking Bites and just knew that I had to make them. For one thing, I love lemony flavored desserts - lemon bars, lemon cookies, lemon cake, you get the point - so these lime bars were right up my alley. Plus, I had a lot of the ingredients already sitting around the house. So, how did the bars turn out? Only one word - amazing. The combination of flavors and textures is incredible. 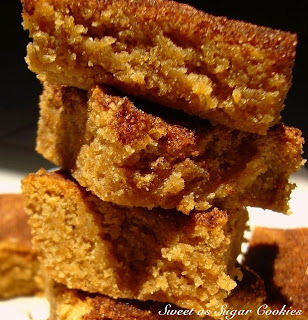 The brown sugar shortbread base almost becomes like a layer of toffee or brittle with a wonderful caramelly undertone. As for the filling, well, lime and coconut is definitely a match made in heaven. They're creamy, dreamy, crunchy, coconutty, and sweet. Besides that, they're super easy to make. Have you started craving them yet? As for my family, they loved these bars. They're even better when they're chilled. So refreshing and the lime filling sets up a little better. This is definitely a recipe that I will make again and again. Line a 9x9 baking pan with parchment paper. Cream butter and brown sugar. Add in flour and baking powder. Mix in oats and coconut. Mixture will be somewhat dry and sandy. Combine condensed milk with lime juice and zest. Put 2 cups of the oat mixture into the bottom of the prepared pan and press firmly into an even layer. 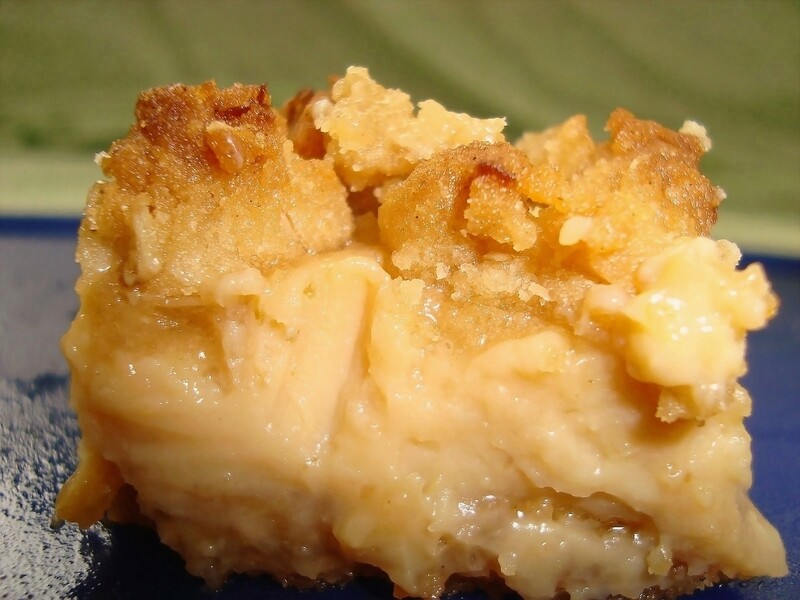 Pour condensed milk mixture on top and spread evenly. Crumble all remaining oat mixture over the top of the lime mixture, covering it completely. Bake at 350F for 30 min. until golden brown. Cool completely before cutting into squares. The bars can also be chilled in the fridge after cooling. 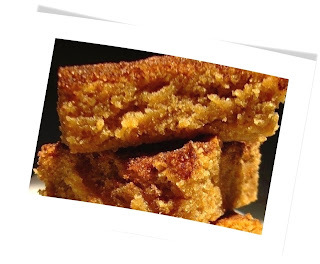 This is another well loved recipe on the Internet and, after making it once, I too became a follower of this delectable blondie. It is chewy, it is cakey, it is the best snickerdoodle you will ever eat. It is definitely a keeper for my recipe collection. Of course, I realize that I am but one humble reviewer. Therefore, I will also tell you that my family absolutely loved them as well. I made an 8x8 pan which was promptly eaten by the three of them and was almost gone in a matter of hours. Only a couple pieces remained and those were taken by my sister for her breakfast the next morning. What's more, they all unanimously requested that I make another pan that very same day. If that doesn't convince you, then I say make these blondies and let them speak for themselves. Your tummy will thank you. I had heard about Alton Brown's Chewy Chocolate Chip Cookies for the longest time. But, seeing as how I don't usually have bread flour in the house, I never had a chance to make them, until now. Seeing as how so many people have raved about this cookie, not to mention the fact that it is Alton Brown's recipe (that man can do no wrong), I had only the highest expectations for them. Unfortunately, the cookie failed to meet my expectations. Yes, they were chewy. But, something about the taste seemed to be lacking. Maybe they need more sugar or vanilla. At any rate, while I'm glad to have finally tried them, I think I'll stick with my tried and true chocolate chip cookie recipe from here on out. Melt the butter. Add the sugar and brown sugar and cream together. Add the egg, yolk, milk, and vanilla. Add the dry ingredients and then stir in the chocolate chips. Chill the dough, then scoop onto cookie sheets. Bake at 375F for 14 min. or until golden brown. I will say this though, they photograph beautifully.